Lone worker safety software solutions. Make sure lone workers and employees are safe no matter where they are. Locate and monitor lone workers in real-time with CYBRA’s tracking software. Edgefinity IoT provides lone worker safety solutions for companies and enterprises. 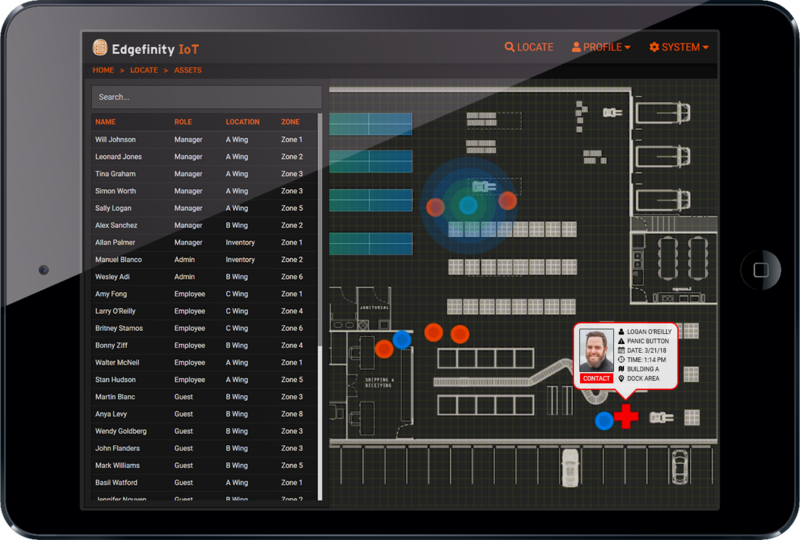 Combining RFID technology and RTLS (Real Time Location Systems), Edgefinity IoT gives you an eagle eye view of your facilities and employees. Improve your enterprise’s safety initiatives with Edgefinity IoT. 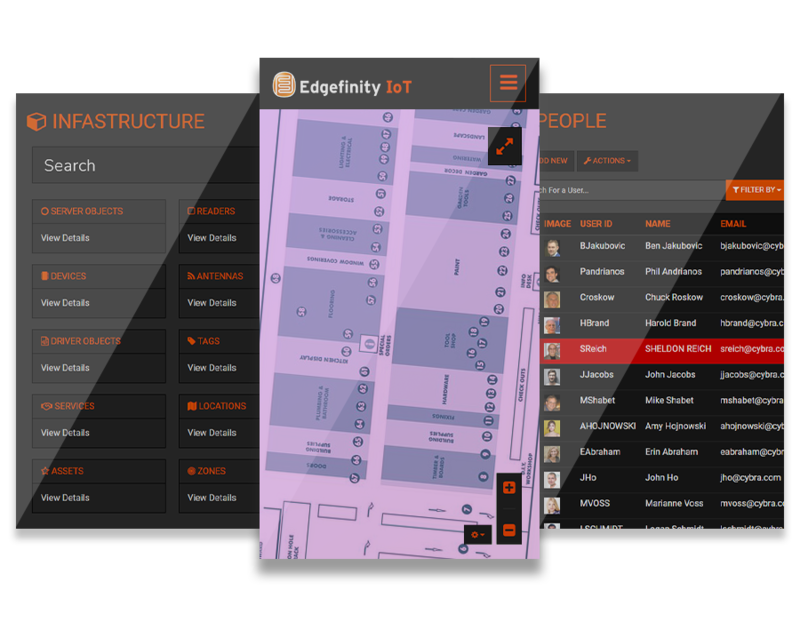 Edgefinity IoT is an application that allows you to keep track of your lone workers. Get a live view of a facility floor map right on your laptop, tablet, or phone, and easily look up employees by name, job type, or location. Edgefinity IoT can give you exact coordinates of the area where the lone worker is located. RFID sensors are used to give the system instantaneous updates of lone worker’s location and status that are accurate up to a few inches. With such accuracy, safety protocols can be enforced at all times, even when workers are in remote areas. Send and receive notifications from Edgefinity IoT with your phone, tablet, laptop, or desktop. Call first responders, lock doors, send text messages, and push notifications. Run searches from the interface so you can find workers immediately and check their status. Our system is compatible with virtually any RTLS hardware system. FREE eBOOK – How do you keep your lone workers safe? The hazards facing your workers become exponentially more dangerous when they are on their own. Written by one of the most knowledgeable minds in the entire safety industry, this e-book will give you tremendous insight into lone worker safety. Build rules for your facility to ensure lone workers are where they should be, are on task, and, most importantly, safe. Rules can be triggered by an employee falling, a lone worker entering an unauthorized location, a panic button being pressed, or a system malfunction. 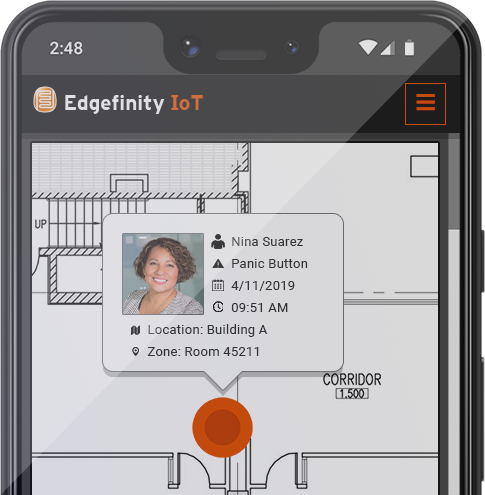 Edgefinity IoT can automatically react to triggers with actions such as locking doors, stopping elevators, contacting safety personnel, and sending text messages, voice calls, emails, or push notifications. At the heart of Edgefinity IoT is its sophisticated rules engine. Rules are created based on triggers such as a lone worker entering unauthorized areas, or a worker falling from a pre-defined distance. You can also select rule reactions such as automatic text messages, calls to 911, or a complete shutdown of a facility. 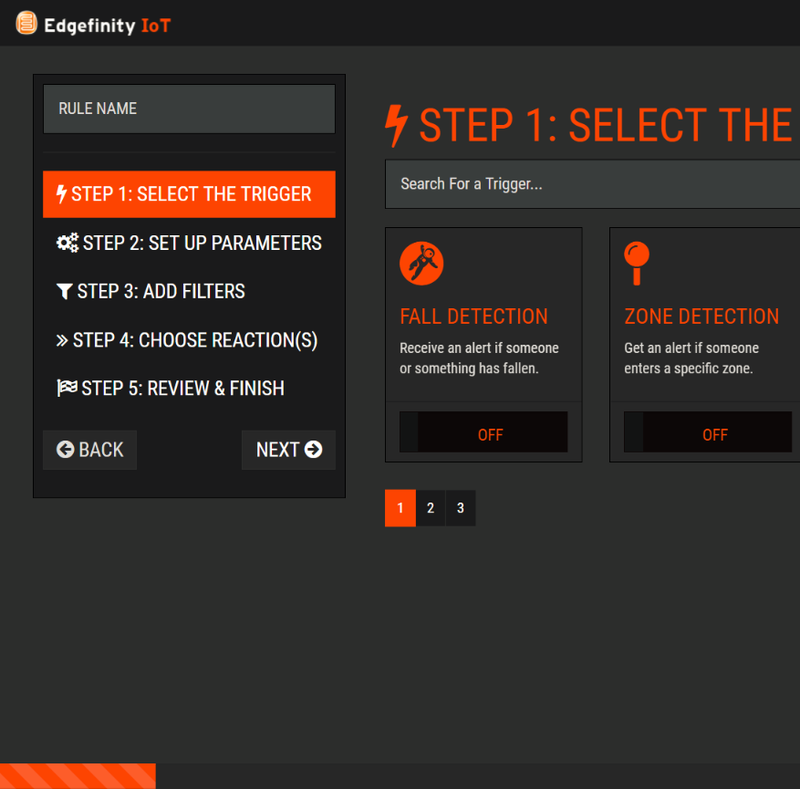 Right out of the box, Edgefinity IoT comes with powerful, customizable triggers. These triggers allow build a safety and security system to your exact specifications, such as how often lone workers must check in. Edgefinity IoT offers built-in lone worker alarms and man-down alerts to ensure workers following safety protocols. Edgefinity IoT can detect something as simple as a worker dozing off, or complex as a lone worker trapped somewhere. Generate automatic history reports so safety personnel can analyze site weaknesses. Track past movements and activities of personnel, verify remote worker check-ins and check-outs, and even create Edgefinity IoT rules based on your system’s data. A dedicated incident commander dashboard is built right into the interface. Incident commanders see where their teams and personnel inside and outside, instead of relying on conventional methods of pen, paper, and a roll call. Receive immediate alerts on all personnel in crisis. With Edgefinity IoT you can see critical information such as ambient temperature, and time since last movement. Lone workers perform activities in isolation from others, without close supervision. Often deployed in remote locations, and in hazardous environments, lone workers are further exposed to risk being on their own. Watch this webinar to learn how Edgefinity IoT can mitigate many of these risks. INTERESTED IN CYBRA’S LONE WORKER SAFETY SOLUTIONS? Prevent falls from become fatal accidents. Create customized lone worker alarms. Ensure mustering and evacuation procedures. 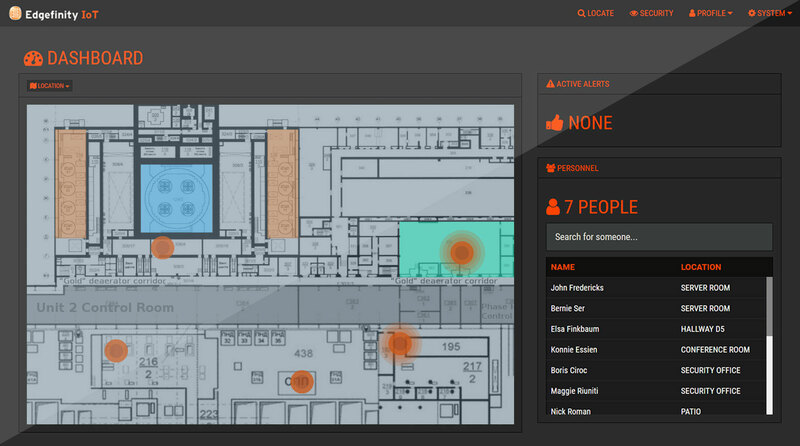 Track and monitor lone workers in real time. Receive immediate man down alerts. Send panic alarms to incident commanders VIA text. Contact us to see how our applications can streamline your daily operations. CYBRA’s RFID and RTLS technology combine to offer organizations the ability significantly improve their lone worker tracking and protection efforts. Contact us to see how our applications can streamline your daily operations.